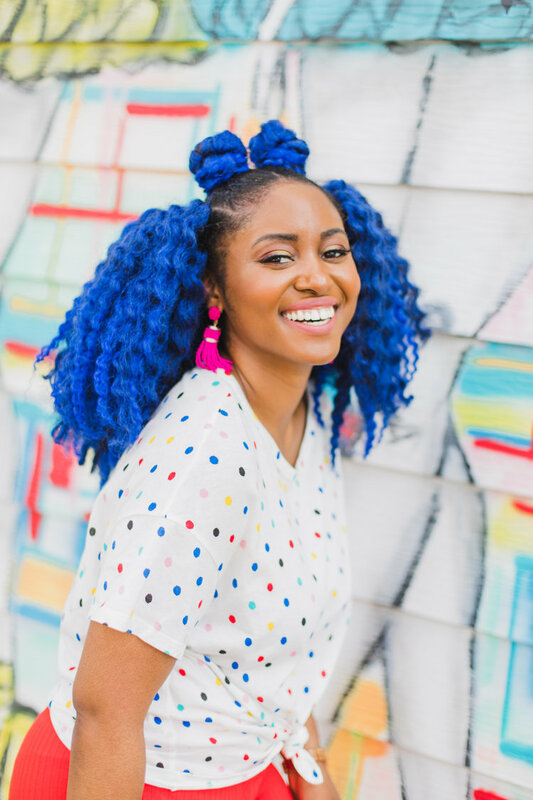 Rinnie P. Styles — Meet Rinnie P.
My name is Rinnie P. and I'm the blue haired fashionista from Houston, TX. I’m the Founder, Fashion Stylist, and Fashion Blogger at Rinnie P. Styles. I am super excited to invite you into my realm and share with you my love for fashion. I spend a lot of my time styling, blogging, and studying fashion. color, fun styles, and sneakers. In particular, sneakers are my forte, but I also have a thing for boots & flats. Here and there I may dibble and dabble in the heel pond. Through time, I've learned to channel various styles while still implementing my sneaker obsession, and now my style is ever-changing. having fun with fashion and I'm definitely not afraid of a style switch. This is because I don't commit to just one style! I get bored pretty fast :) With my fearlessness towards fashion, I realized that I should share my gift of style with others by offering style advice and services. While hanging around my style realm.. I hope I can inspire you to take risks with your wardrobe and step outside your style box. I thrive off of my readers and clients being the best they can be while feeling great in their clothes. Don't be afraid of what's on the outside of the box you live in, because you'll never know until you give style a chance. I'm always open to conversation, so feel free to start up a chat with me in my Style Chat Room. Even feel free to contact me here if you’d like for me to style you. Remember, always style your fullest!